Whatever your adventuring of choice–whether it be cycling, hiking, running, climbing or rowing–do so in cozy comfort thanks to Mission Workshop Seamless Base Layers. 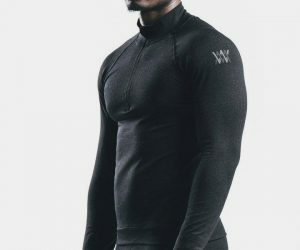 This state-of-the-art four-way next-to-skin technology is available in bulk-free crews and bottoms that are breathable, quick-drying and moisture-wicking and promise to enhance your performance. 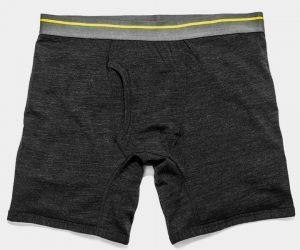 Blending style, substance and some high tech, moisture wicking, uber-breathable, anti-smelly, stretchy fabrics, Warriors & Scholars Boxer Briefs are yours in a range of striking patterns and colorways. Also available in multi-packs, you’ll be pleased to hear (or maybe not) that the underwear’s pouch is roomy while offering loads of support, too. 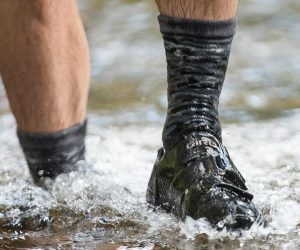 We know we’re occasionally prone to excitable hyperbole at GearCulture (we just call it passion), but Showers Pass Camo Waterproof Socks are simply sensational. Nothing ruins a good hike, bike or run like wet and cold feet, but that’s no longer a problem thanks to these three-layered, breathable, moisture-wicking, anti-bacterial and anti-stink feet coverers. Don’t let the ladies have all the fun, freedom, and comfort of leggings, guys. 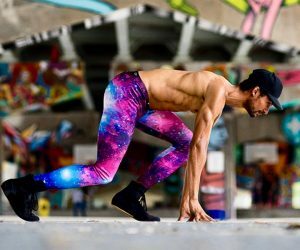 From shiny metallic to Beetlejuice strips, Kapow Meggings offer men stylish high premium stretch polyester and elastane leggings that fit like a second skin. Whether you’re wearing them to your next down dog, run, or simply to make a statement, Kapow Meggings up the street cred of your wardrobe. 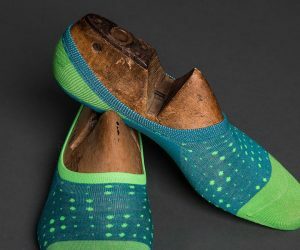 Nothing screams “no fashion sense” quite like socks and shoes or sneakers while donning shorts, but nothing promises to kick up a quite literal stink than going barefoot in your brogues. DeadSoxy No Shows are the solution, “invisible” socks that promise to actually stay in place–a must-have for any stylish man this summer. We’re big fans of merino wool here at GearCulture, its breathability and odor-repelling properties are just the ticket for any guy that leads an active life. What’s more, it’s super soft and comfortable, so just the kind of fabric you want cradling your most important parts–see for yourself with the Civic Merino Boxer, available in Heather Black or Gray.